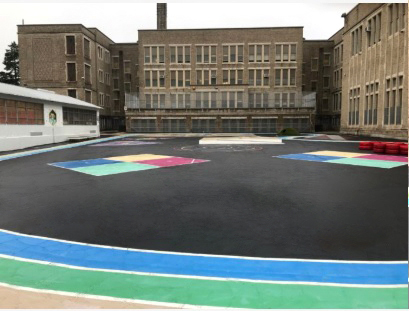 The world’s first Fiesta Playground is scheduled to be completed in September 2018 – Eleanor C. Emlen Elementary School at 6501 Chew Ave in East Oak Lane. 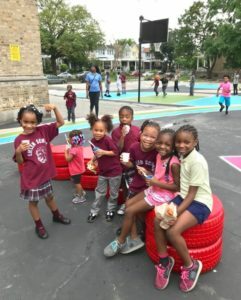 After polling the student body in Spring 2018, the principal Tammy Thomas and faculty of the Emlen School selected the play elements they prefer, using a points system unique to Fiesta Playgrounds. In Summer 2018 the paving work was completed and the selected play elements are getting installed. Spring 2018. The play-yard of Emlen Elementary School. And now, Fall 2018. The new Fiesta play-yard is dedicated on September 13th, 2018. 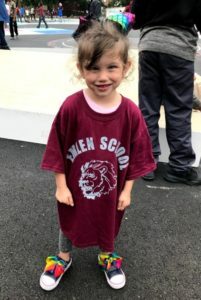 Thanks to our dedicated and professional partners – The Big Sandbox (Lois Brink- project director), Composite, Inc. (Michael Lofurnoa- landscape architect), the Q Group (Angelo Quisito- general contractors), and Studio Ludo (Meghan Talaworski- Certified Playground Safety InspectorI). The vision for Fiesta Playgrounds is expansive. We need outside help and support to pull it off! 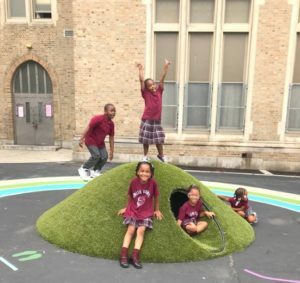 Namely, to provide a Fiesta Schoolyard for every existing barren elementary school hardscape in the City of Philadelphia. How many of those are there? You’d be surprised. 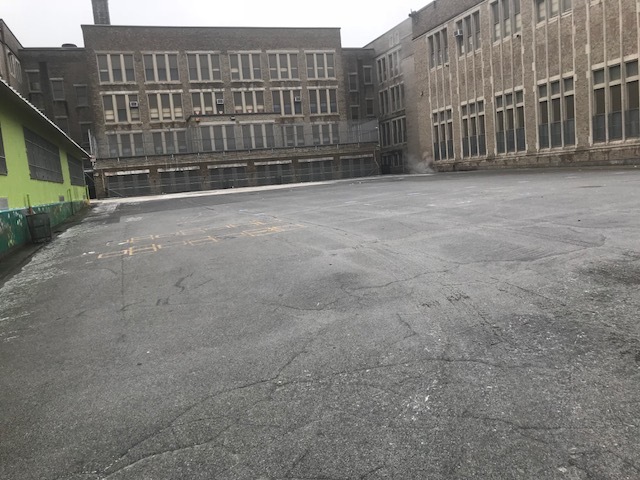 Nearly 100 elementary schoolyards in the City of Philadelphia have very few or zero schoolyard amenities. Imagine a vast parking lot surrounded by a chainlink fence – that’s the play-yard reality our schoolchildren live with. With no shade, no play elements to capture their imagination, the children step onto a dusty and barren playscape. The message that’s conveyed to them in no uncertain terms is –> that’s what you get, that’s all you get. We need your help. 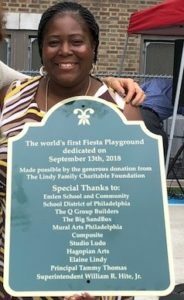 The Lindy Family Charitable Foundation is starting with a handful of pilot schools for a Fiesta Playground in the Germantown/Mount Airy area. Corporate and governmental support will be needed to realize the full vision. Contact us to explore how your partnership with Fiesta Playgrounds will enhance the name and mission of your corporation or nonprofit organization. We’re offering matching funds. Your contribution will double in value, and the Fiesta Playground you create will bring a tangible, immediate, long-lasting impact as well as a naming opportunity for your organization. 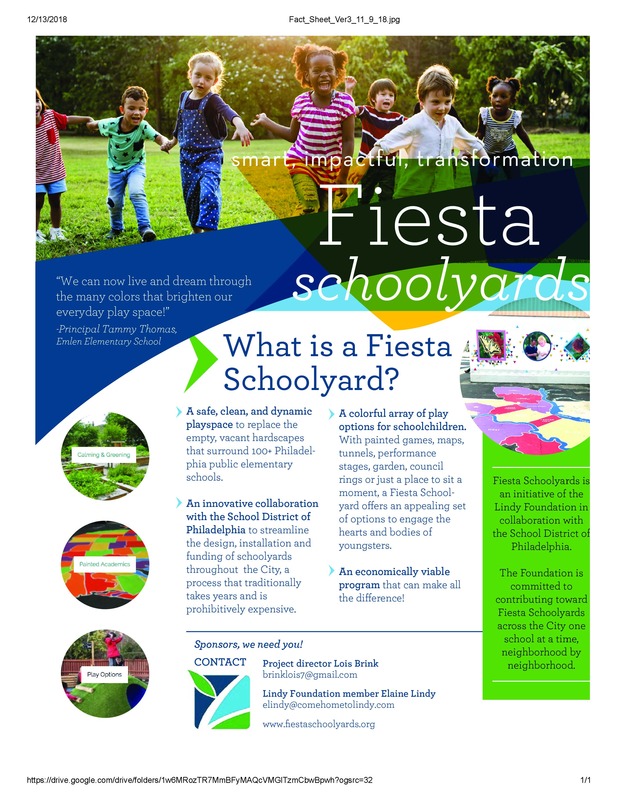 Together, every barren and desolate public elementary schoolyard in the City of Philadelphia can be transformed into a Fiesta Playground!